Are those your chicken walkers or are they based off the movie? Love me some space Nazi's XD. 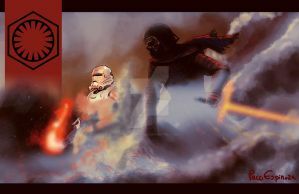 LONG LIVE THE FIRST ORDER!!! Today is the end of the Republic! The end of a regime that acquiesces to disorder! At this very moment in a system far from here, the New Republic lies to the galaxy while secretly supporting the treachery of the loathsome Resistance! This fierce machine which you have built, upon which we stand will bring an end to the Senate, to their cherished fleet! 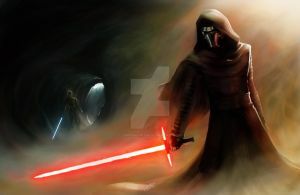 ALL REMAINING SYSTEMS WILL BOW TO THE FIRST ORDER AND WILL REMEMBER THIS AS THE LAST DAY OF THE REPUBLIC!!!!!!!!!! Now that is how the First Order rolls! A grand army musters...well done! Lovin' your art. Hail the Galactic Empire's rebirth! Hail the First Order! You have such an incredible imagination and a talent to express it! Love your work, as always!